Don't be a "blockhead," see how many Peanuts characters you can spot next to Snoopy! HINT: there's more than one! It's a great red rock formation , Charlie Brown! Everyone loves the Peanuts characters but who knew Snoopy moved his doghouse to Sedona? 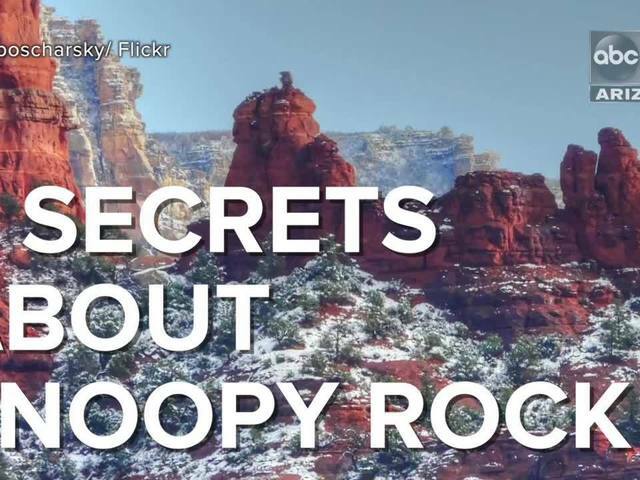 Watch the video above to see how many Peanuts characters you can spot as rock formations next to Snoopy! RELATED: 7 weird road trip landmarks in Arizona! MORE: 5 affordable day trips from Phoenix!